We have one helluva treat for you today. Ben Sutherland’s Magrathean is a brand new one man band that’s looking to go places… space in particular. With a diverse, shreddy, technical, creative style to his take on Progressive / Death Metal, I can easily see his music spreading across the metal underground. To compliment the theme behind the music, he incorporates samples, featuring many from various science fiction movies and interviews in his work. Add it all together, and you have a very interesting listening experience. 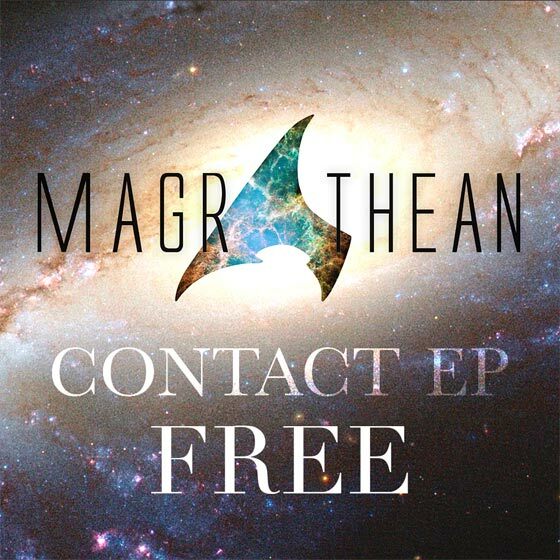 He just dropped his debut, 9 song EP, appropriately titled “Contact”, and you can download it for FREE on the official Magrathean Bandcamp page! That’s a steal and a half considering the the quality / complexity of the music. There’s also a couple other great deals you can take advantage of. You can purchase the “Premium” edition of “Contact” including 8 more songs for only ₤2.50 (about $3.80). You can also download all the tabs for₤1 (about $1.50).